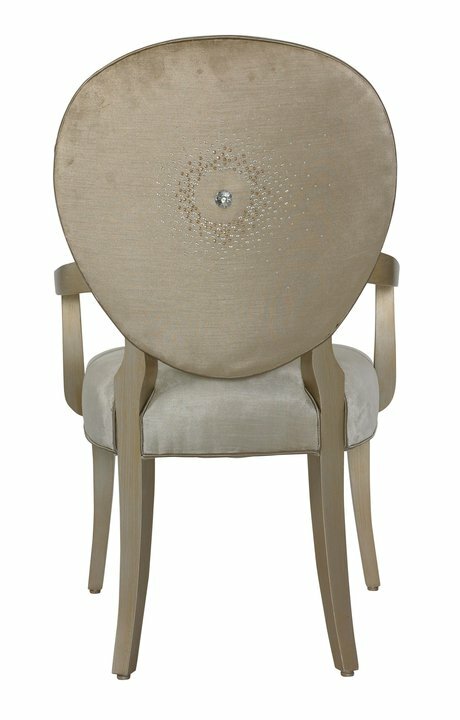 An updated approach to an older European silhouette, the shield shaped back with concave shape comfortably cradles your back when sitting in the chair. 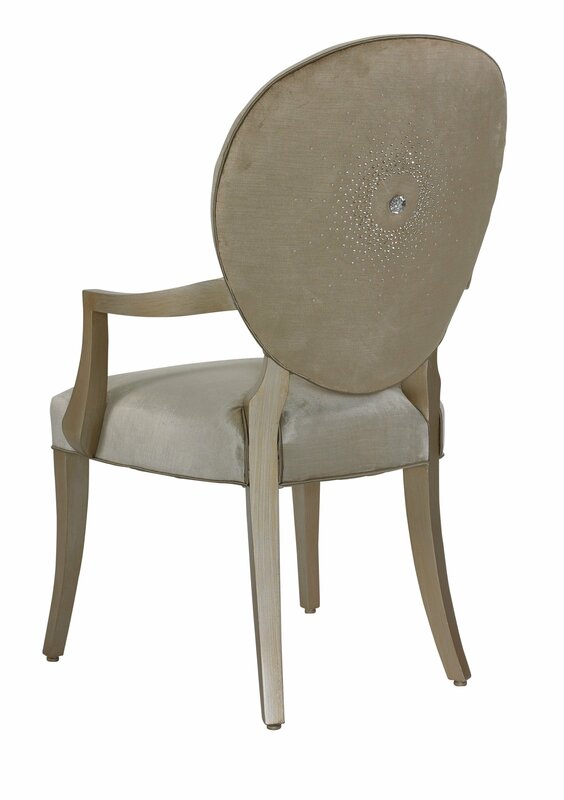 The outer shape of the back flows from the narrow bottom between the back leg posts around the outer sides of the chair back and into the squared oval top. 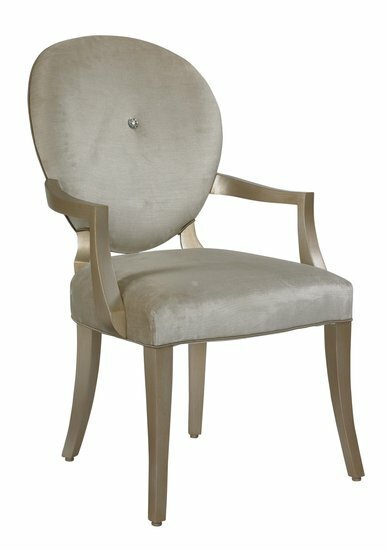 A shaped, thinly upholstered seat is supported by beautiful, saber shaped front leg posts and flared back leg posts with exposed wood that meets the chair back. Crystal embellishments from Swarovski® Elements adorn both the inside back and outside back of the elegant chair.